November! November! November! Did Beetlejuice appear? No? Darn. Well, to help you get over your disappointment, come to these three amazing shows! I’m even featuring in TWO of them! 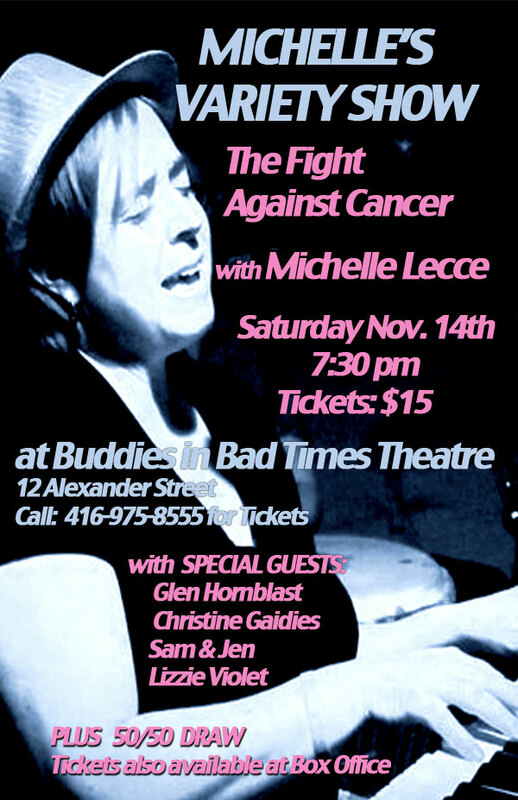 Come on out to the Horseshoe Tavern on November 22nd at 8pm for our wonderful fundraiser with local bands, stand up comics, spoken word, poets, and singers. We will be raising money to buy food for care bags to be given out by the street volunteer teams for the homeless around Toronto living on the streets, along with winter gear. The entry fee at the door will be $5.00 and there will be a donation box set up by the merchandise and raffle bag table as well. We will also be collecting donations of clothing, house hold items, and animal supplies (food, treats, toys, bedding, etc..) for Fred Victor – Helping People Find Place & Purpose. 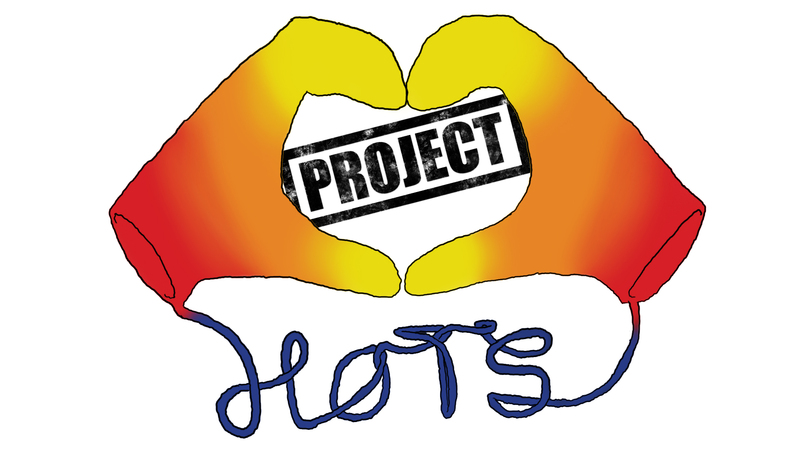 You can message Project HOTS on Facebook or email us at projecthots@outlook.com to arrange a pick up or drop off location instead of bringing the donations to the venue the night of the show. 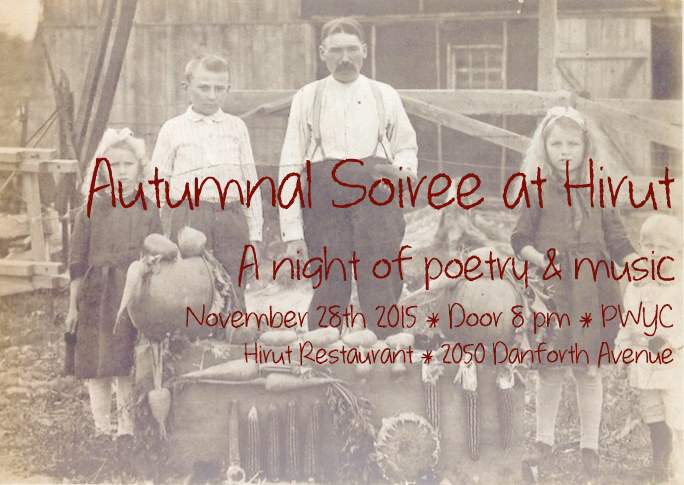 Saturday, November 28th, 2015 we celebrate the wonderful world of POETRY AND MUSIC at Hirut Restaurant! ← The SPOOKTACULAR month of October!